Deposit bonuses, no-deposit bonuses, spin-the-wheel, refer-a-friend… with so many types of online bingo promotions, it may seem hard to know which way to turn. But even though there’s no GPS, we’re here to lead you in the right direction. So pack a lunch, grab your camera (and maybe your selfie stick), and climb aboard – for Winkly’s guided tour of online bingo promotions! Even if you’re just getting started in online bingo, it’s easy to see that it’s a highly competitive marketplace. There are loads of websites, and all of them want you! Against this landscape, promotions have emerged as a primary way for bingo sites to attract new players and keep them playing. 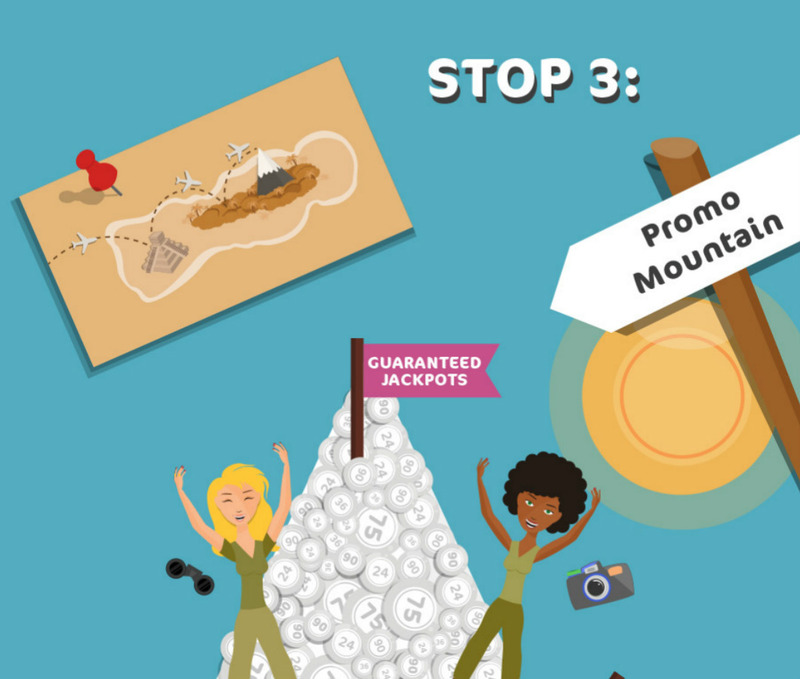 While the different types of promotions might seem overwhelming, the good news is that most promotions fall into one of several major categories. And on our tour, we’ll stop at each one. 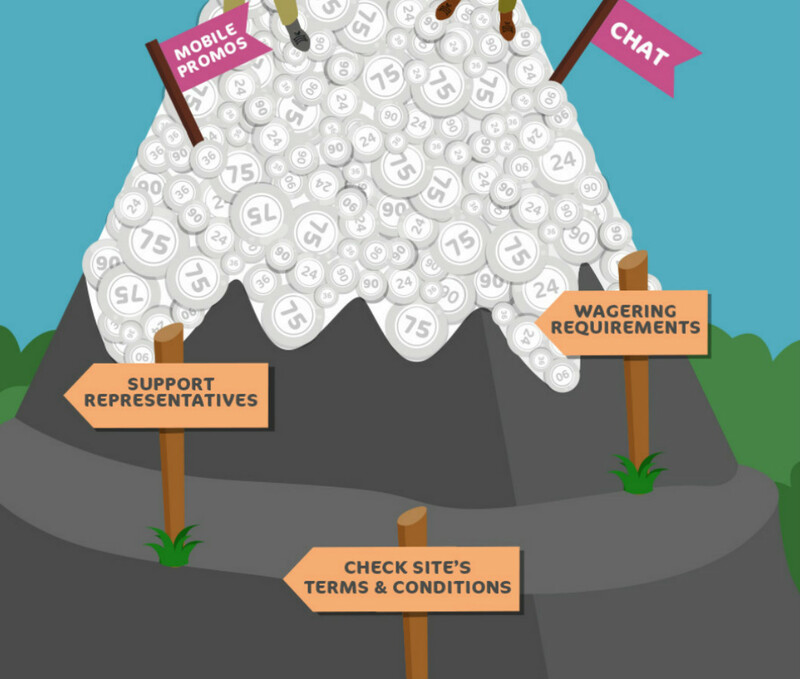 There’s nothing that online bingo sites like more than bringing new players into the fold. So as we reach our first stop, you’ll notice a cluster of promotions all designed to entice new players to join the website and fund their accounts. Generally, you claim this type of bonus by registering for the website and providing some basic contact information. The amount of money you can win without funding your account is generally limited to a fairly small sum. Many sites limit the rooms you can play in and number of tickets you can buy per game while using your welcome bonus. But even with these restrictions, welcome bonuses are a great way to get your feet wet on a bingo website and to decide if you want to deposit real money to your account. Generally, these bonuses are designed to multiply the amount of your initial deposit by a specified percentage (up to a certain maximum). So, for example, you might see a first-time deposit bonus that looks like this: 250% of your initial deposit up to £100. This means that with a deposit of £50, you would receive additional bonus funds of £125 in your account. For an initial deposit of £100, you’d get a £250 bonus. For an initial deposit of £200, you’d still only get £250 (because of the stated maximum). Just as with the welcome bonus, you will likely be required to meet a wagering requirement. Often, there are restrictions as to whether the bonus can be used for bingo only or for instant games as well. As its name implies, the initial deposit bonus is one you will only see once, so definitely make the most of it. How? Deposit the amount that will get you the maximum bonus (but only if it’s within your budget and if you expect that you will eventually deposit this much anyway). There’s no advantage to depositing more than the amount that will get you the maximum bonus, so don’t (especially if the website offers a redeposit or reload bonus for deposits you make after the first one). Once you’ve started playing at an online bingo site, the site wants to encourage you to keep playing… and on that site (of course!) 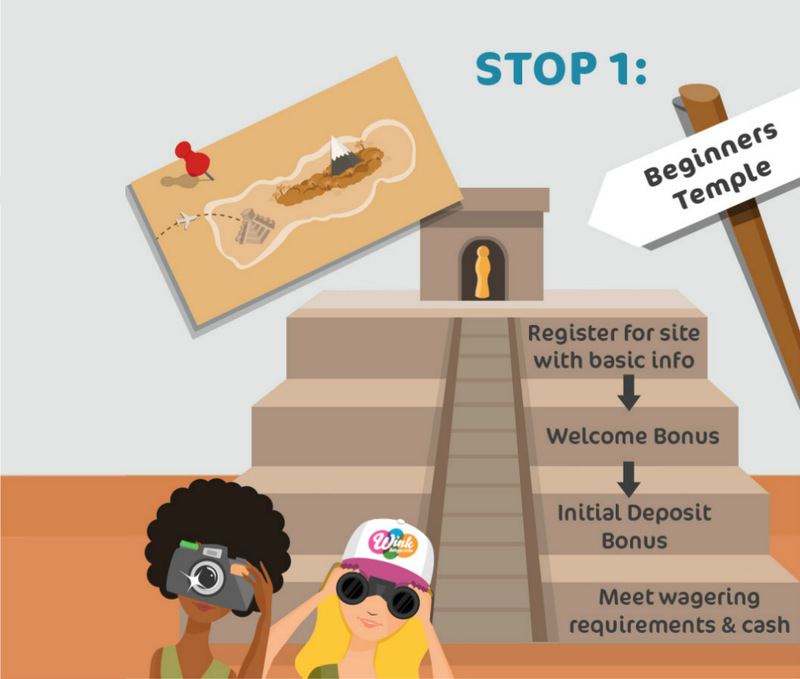 This brings us to our second stop – bonuses designed turn tourists into permanent residents. Wouldn’t it be great if a bingo site would give you extra money every single time you deposited to your account? Well, that’s exactly what some sites do! It’s called a redeposit or reload bonus, and even if it’s not offered on every single deposit, it’s a great way to play some extra bingo and win some extra cash! Basically, these bonuses work the same way as do initial deposit bonuses, though the bonus percentage is generally smaller. In most cases, the restrictions are the same as or similar to those found with initial deposit bonuses, including wagering requirements and restrictions on what types of games the bonus funds can be used for. Also important to note when taking your photo of this famous landmark: Many sites require you to enter a promotion code in order to claim a redeposit bonus. If this is the case, be sure to check how often the promo code will change and how you will receive the current code. Will you receive it by email or SMS? Or does it appear somewhere on the website itself? Many sites also offer a points-based loyalty program that credits you with points each time you buy bingo tickets on the site (along with lots of other ways to earn loyalty points). Once you’ve collected enough points, you can convert them to funds in your account and use them buy additional bingo tickets. Additionally, some sites offer the opportunity to achieve VIP status by wagering a certain minimum amount over a specific timeframe. These VIP programs open up a host of additional promotions and bonuses exclusive to VIP members. In some ways, the ultimate expression of loyalty to a website is to recommend it to your friends. In order to encourage referrals, many sites offer refer-a-friend bonuses that can either take the form of bonus funds in your account or additional points in the loyalty program. This brings us to our final stop on today’s tour – promotions designed to keep things interesting by mixing them up! Visit any major bingo website’s promotions page, and you’ll find lots of promotions, incentives, and guaranteed jackpot games all there for the taking (and the winning)! They’re seasonal, timely, and are often related to events going on in the outside world. You’re likely to see free bingo rooms, huge guaranteed jackpots, promotions specifically for players on mobile devices, and even games where everyone wins. (And be sure not to miss progressive jackpot opportunities!) One of the things that makes these promotions interesting is that they are always changing, so be sure to check your newsletters and promotions pages often! Often times, certain bingo rooms within a website offer special games played through the chat window and moderated by the chat host. These side games offer some additional variety and spice while the main bingo game is going on. Bingo chat games can take an almost infinite number of forms, but what makes them fun is that they require you to interact with the chat community and pay attention in real-time (no autodaub options here!) To play a chat game, just check in the chat window when you enter a bingo room. If there is a chat game in play, the chat host will announce it and explain the rules. Be sure to explore your favourite site for lots of other bonuses and promotions on offer. Depending on the site, you may see vouchers for free bingo cards, buy-one-get-one-free tickets, free spins on the slot games, instant game bonuses, non-cash prizes (such as holidays, electronics, and promotional merchandise), and more. Almost universally, any bonus funds credited to your account will trigger a wagering requirement. (You may also see this referred to as a playthrough requirement.) In essence, this means that you are required to wager a certain amount of money before you can cash out. These requirements are usually indicated in terms of a multiple of the bonus (and/or related deposit). Let’s say your favourite bingo website has a 3x playthrough requirement and a 250% initial deposit bonus. You make an initial deposit of £50 and receive a 250% bonus of £125. So your total account stands at £175. If the site’s wagering requirement is for a 3x playthrough of both the deposit and the bonus, you would need to wager a total of £525 (£175 x 3) before you are eligible to withdraw from your account. If the site’s wagering requirement is for a 3x playthrough of the bonus amount only, you would need to wager a total of £375 (£125 x 3) before you are eligible to withdraw from your account. The details of wagering requirements vary widely among sites (e.g., some sites clear the wagering requirement if your account reaches zero, some sites allow you to withdraw before clearing the wagering requirement if you forfeit the bonus funds, etc.) So, the most important thing is to understand the terms and conditions before you accept bonus funds. For additional information on wagering requirements, check out our article: Winding Your Way Through Wagering Requirements. (link to Wagering Requirements piece) In addition, note that some sites never permit the cashing out of bonus funds. They remain in your account to play with, and once you have cleared the wagering requirement, winnings related to those bonus funds are then cashable. As you may know, lots of the fun on bingo websites comes from games other than bingo! Slots, scratch-off games, and roulette are just some of the options that can keep you busy while you’re waiting for your next bingo game to start. Just like the bingo games on a website, these instant games (IGs) offer lots of promotions and opportunities for winning bonus loot. 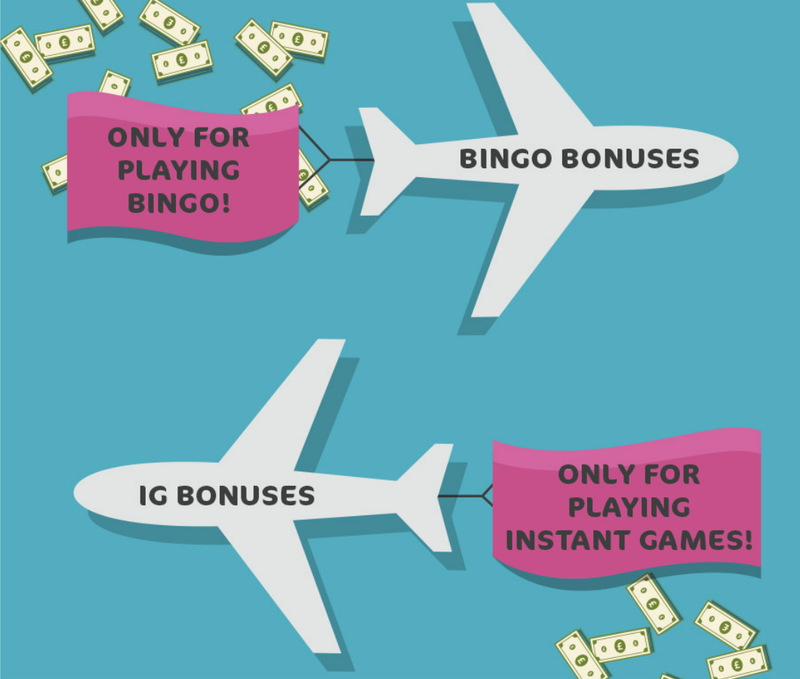 What’s important to recognize is that most bingo sites keep bingo bonus funds and IG bonus funds separate. This means that bingo bonuses can be used only for playing bingo and IG bonuses can be used only for playing instant games. Never the two shall meet! Even after our tour, you may feel like the world of bingo promotions still requires GPS to navigate… and that’s really okay. 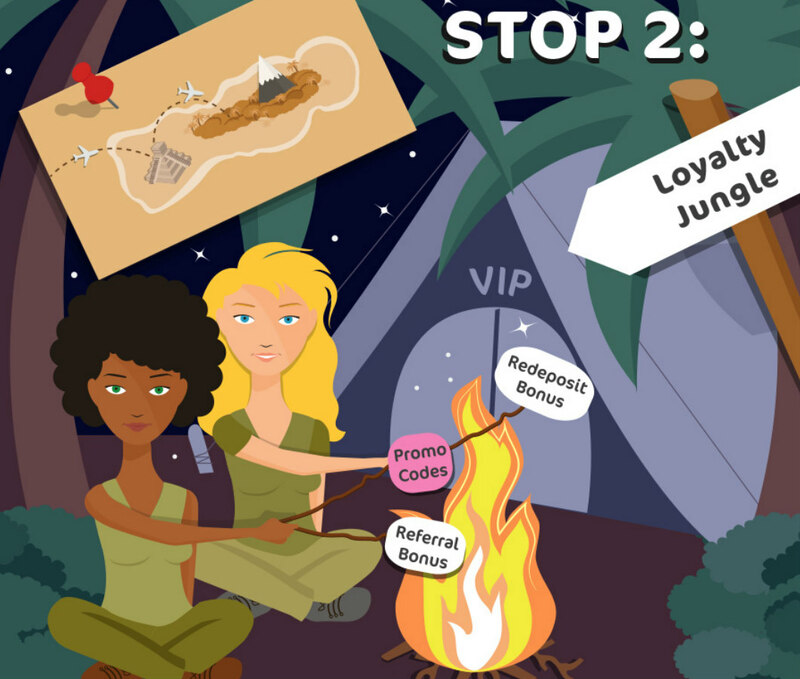 Keeping track of all the promo codes and bonuses is something of a game in itself, so enjoy the game within the game, and you’ll soon learn to make the most of it!